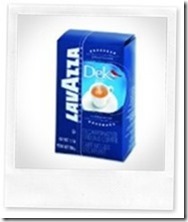 Home » Coffee Beans Blog » Lavazza Coffee: Selling Italian Coffee to the world, and us! 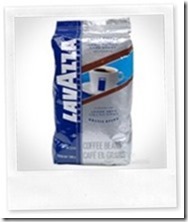 Lavazza Coffee: Selling Italian Coffee to the world, and us! You may be familiar with the gold packaging of the Lavazza Coffee! For me, though, I first discovered the delights of Lavazza in a coffee shop, though I am sure that I had seen the coffee brand in the more expensive supermarkets at the time. With their ground coffee products, coffee beans, and both domestic and office coffee makers, Lavazza has come a long way from its origins in 19th century Italy to a top quality coffee producer today. We’ll take you through some of its excellent coffee products, and perhaps we’ll even find out why it’s labeled “Italy’s Favorite”. So let’s get started. These days, though, Lavazza coffee beans are imported from many countries including Brazil, Colombia Guatemala, Costa Rica, and Honduras in South and Central America; parts of Africa, Asia and even the United States. Today’s Lavazza produces coffee products for the home, office, coffee shop, food retailers and the hospitality industry. With differentiated products and coffee making systems, Lavazza has turned niche marketing of its coffee brands into an art form by looking at the specific demands of each niche. This also neatly avoids the ‘my brand anywhere’ dilemma where customers want to get the ‘exact same taste’ at home, office and in the restaurant. Of course, this is almost impossible because of a huge number of variable factors. Lavazza Coffee, like so many European coffee companies, has a rich history of quality, innovation and pride in their product. In 1885, the young Luigi Lavazza moved to Turin with just a few coins in his pocket. He worked at manual labor, factory jobs and also clerked in stores while attending business school at night. Nine years later he bought a small grocery store for $20 and officially started Lavazza in 1895 next year with his cousin, Pericle Forno. In an effort to improve their coffee even more, the men began to roast their own beans and the rest is history. Today, over 75% of coffee lovers in Italy drink Lavazza coffee. It’s all about the coffee beans! 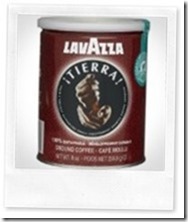 Lavazza coffee is more lightly roasted in order to bring out the nuances of the bean’s flavors. Rather than dark roasting, sweeter coffees are blended to produce the exceptional coffee in your cup. Lavazza coffee drinkers will know that they can taste the real beans in their coffee, while avoiding the full body of dark roasting tricks that some popular coffee companies use to hide their cheaper beans. So let’s dive into looking at the brands we found: Qualita Rossa, Qualita Oro, Gran Filtro, Dek, Tierra, and in Blu coffees. Coffee Drinking Tip: Many people prefer Lavazza espresso without sweeteners in order to fully enjoy its flavor, as it often displays its own natural sweetness. Why hide it? 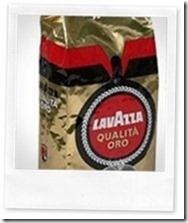 There are a number of blends of Lavazza Coffee that you may see in your local supermarkets: including Qualita Oro (the Gold pack – a personal favorite), Qualita Rossa (in red), Crema E Gusto, Lavazza Dek (Regular – Blue pack; Decaf version – Green pack); Caffe Espresso and Il Perfetto Espresso. There is also inBlu which is ground only for espresso makers. The blends available in the local market may vary from other markets, so you may not see all of the products available where you shop. One example is the Premium Drip Coffee, a nod to the US market, where most coffee is made this way. Lavazza Qualita Rossa is one of their outstanding coffees, and is said to have the heart of Africa and the soul of South America. It combines Robusta beans (approx. 30%) from Africa with their body and chocolaty aroma with Arabica beans from the mountains of Brazil. Details: Lavazza Qualita Rossa is a milder coffee, its beans much less oily than those usually preferred by Americans; this Lavazza coffee will not gum up your coffee grinder or your espresso machine. Billed as an authentic Italian coffee, it is roasted evenly and carefully ground to make a coffee with a rich and intense flavor, while retaining body and aroma. Roasting & Grinding: Medium roasting brings out every delicious flavor and aroma, making it feel like velvet on the palate. Qualita Rossa is one of the few exceptions to the bad reputation of Robusta beans; here, they accentuate and complement the Brazilian Arabica. 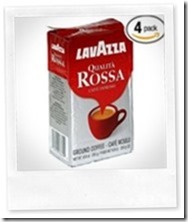 I purchased the Lavazza Qualita Rossa Ground Espresso and observed just how finely the coffee beans had been ground. The coffee had a dust-like quality, typically much finer than I usually grind my coffee. Making Coffee: This is to ensure that it’s suitable for French coffee presses, drip coffee makers, traditional espresso makers and even your moka pot (or stovetop espresso maker). Lavazza Qualita Oro is perhaps the easiest to recognize of all the Lavazza Coffee because of its shiny gold packaging with red and brown stripes at the top! It certainly stands out from the other coffee packaging you will see! It is a blend of 100% Arabica coffee beans and is combined from Central American beans and African beans for a taste as good as that of Lavazza Espresso but with a pleasing floral undertone and aroma. Details: There are no bitter tones but a bright fruitiness. Many coffee lovers in North America are used to the darker roasted, bittersweet blends and at first Lavazza Qualita Oro doesn’t seem to have so much taste. As their palate is cleansed of bitterness, however, they begin to taste the unique flavor of this wonderful espresso and note how it produces a thick, caramel colored crema. Don’t let the pale brown color fool you; this espresso is full-bodied with absolutely no bitterness. You will not taste burnt beans in this gently roasted blend but rather a shade of chocolate. Roasting & Grinding: Though advertised as an espresso coffee, it is surprisingly graded as a medium roast Lavazza coffee. Likely because they want to preserve the aroma of the beans from the stronger body of dark or espresso roasts. Finely ground, it comes in vacuum packs and cans. But you also find whole coffee beans so you can grind them yourself. Making Coffee: Though this coffee can be used in an espresso maker or a moka pot, it is also suitable for your French press or drip coffee machine. Lavazza also makes Gran Filtro, a medium-dark roast that is smooth with no acidity. Though available in some stores and markets, it seems to be primarily for the restaurant or hotel trade, so you may not be able to find this product in your marketplace. It’s certainly not listed in the home section of the Lavazza Coffee website. But if you do see it in stores, you will note that the beans come in larger bags than you might find otherwise. 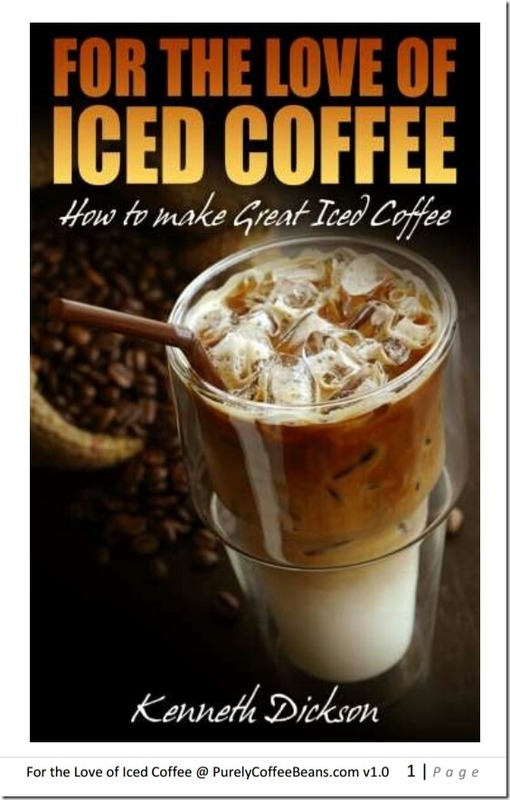 There is also a decaffeinated variation for those who can’t drink much caffeine. Details: Lavazza Gran Filtro is medium roast with no acidity, smooth, with 100% Arabica beans that come direct from the mountains of Brazil for smoothness and spicy aroma of Indian coffee. Roasting & Grinding: Overall, the level of roasting (i.e. dark) increases the strength and body of these beans, while generating a bold aftertaste with more than a hint of caramel. Making Coffee: Some retailers seem to think that Gran Filtro is good for espresso machines, but I somehow suspect that it is more suitable for drip coffee makers or percolators or vacuum brewers as it is a commercial blend. Lavazza Dek (stands for Decaf?) Espresso is one of my recent discoveries, and it’s both a premium coffee and decaffeinated. Somehow, it doesn’t taste like it is decaffeinated, hence it’s name:Lavazza Dek. Details: Naturally decaffeinated 100% Arabica beans are roasted to an espresso roast level, delivering a top quality espresso for your pump-driven espresso machine. With its dark, rich and satisfying body, many drinkers find it hard to believe it’s a decaffeinated coffee. It’s also noted for making a decent crema! Roasting & Grinding: It’s available in both vacuum packs (bricks) or as whole beans or pods. It does seem that this is a lesser known alternative than the other brands. On my trip to the Breeze, I found this coffee in stock but I couldn’t use it. First the coffee. 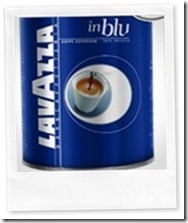 Lavazza in Blu is a premium quality pre-ground espresso coffee for espresso machines. Details: Lavazza in Blu is made from carefully blended 100% Arabica beans from South America. It produces a thick (some say ‘like velvet) rich coffee with a fully body. Typical of Lavazza, they somehow eliminate the bitter aftertastes while retaining its sweetness. And, the crema is excellent. Many customers seem to review this coffee very positively ranking it well against other Italian competitors. As a pre-ground, this may not suit the coffee afficionado who prefers to grind before making espresso, but for those in a hurry, it’s a very decent compromise, even for cappuccino and latte drinks. Roasting & Grinding: It’s obviously roasted for espresso machines in particular, so expect a darker roast. That it’s ground and vacuum packed may be fine for commercial or consumer markets, but won’t suit those who are looking for the perfect espresso. You should note it’s a very fine grind, even by Lavazza’s standards. Making Coffee: I had to put this coffee back because it was not recommended for stovetop espresso makers or electric moka pots ( the coffee grinds were just too fine). The only way to make coffee with this blend is with an electric espresso machine. Other Espresso Products: You may find alternate products such as Lavazza Caffe Espresso, Super Crema, Crema e Gusto or even Decaffeinated Espresso in your marketplace that are suitable for your method of coffee making. Lavazza Tierra!, a 100% Sustainable Ground Coffee, is Lavazza’s Earth friendly brand of coffee, made with 100% Arabica coffee beans. Details: The coffee is certified by the Rainforest Alliance as 100% sustainably grown by communities in Honduras, Peru and Colombia. Interestingly, it’s not rated on the company website for any of the typical characteristics of aroma, body, sweetness, intensity or wholeness. The reader is only left to wonder at this omission. Roasting & Grinding: It’s Tierra coffee is roasted to a medium grade and finely ground. It brings out aromatic notes and a floral sweetness; along with a good body. I tend to add too much coffee, so I find that using a little less than my amounts may yield an even better flavor. Making Coffee: Though finely ground, the Lavazza Coffee seems suitable for French coffee presses, drip coffee makers, traditional espresso makers and even your moka pot (or stovetop espresso maker). 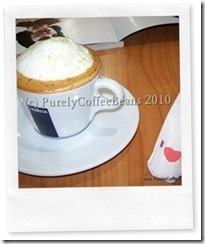 To get the best experience of Lavazza coffee you may want to look at their coffee machines. However, this coffee is so good in all its forms and blends that you could make it on a stove it would still taste better than the most expensive espresso in your favorite coffee shop. So if you see one of their gold, red or blue packs on the supermarket, why not let one of those bricks, cans or bags of Lavazza coffee find its way to your coffee cupboard! You’ll likely be glad that you did! I was. The multi-formats and multiple methods to make coffee for many of the Lavazza Coffee Brands are in my opinion additional benefits of this unusual and delicious coffee brand. These three are the most recent top selling Lavazza Coffee products. You can find many of Lavazza’s products in better coffee stores, supermarkets and retailers (online and offline) these days, though you may not always find the full range. In fact, my trip yesterday to the Breeze Super marketplace yielded no less than eight of Lavazza’s Coffee Brands. Let’s see if Lavazza Coffee could be one of your favorite coffee brands, too. Final Notes: Many blends come as whole beans, espresso pods, vacuum-sealed bricks or cans of pre-ground coffee. In some markets and regions, the brands and products vary significantly from what you may see in this article. Clearly, local coffee culture influences the packaging, branding, blending and retail of their products, as it should. However, readers may not find some of the brands mentioned here in your local store. For that, I can only offer my apologies.